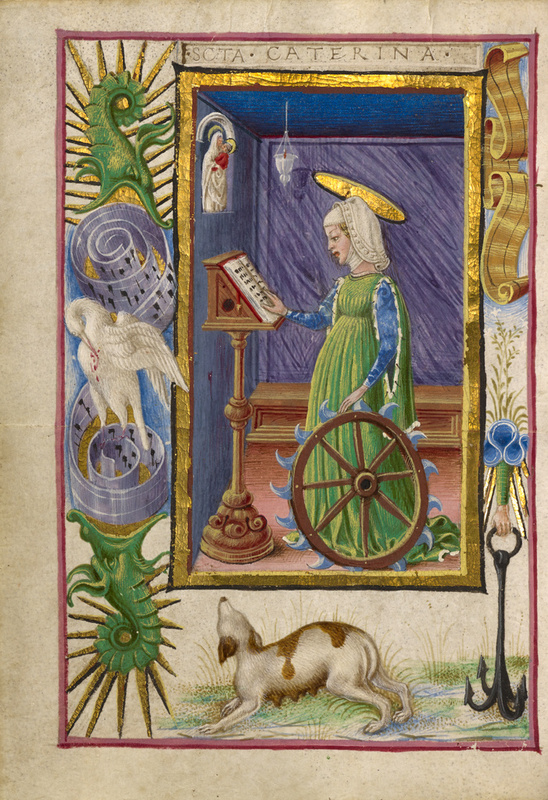 In a small room, Saint Catherine of Alexandria reads and prays from a book on her lectern. Immersed in prayer, Catherine serves as a model of piety for the reader of this personal devotional book. The miniature appears before the prayers dedicated to Saint Catherine in the section of the book of hours containing the Suffrages. Saint Catherine was particularly popular with women in the Middle Ages. An anchor and lilies in the right border may be emblems of Orsina d'Este and her family, suggesting that the patron was particularly devoted to Saint Catherine. 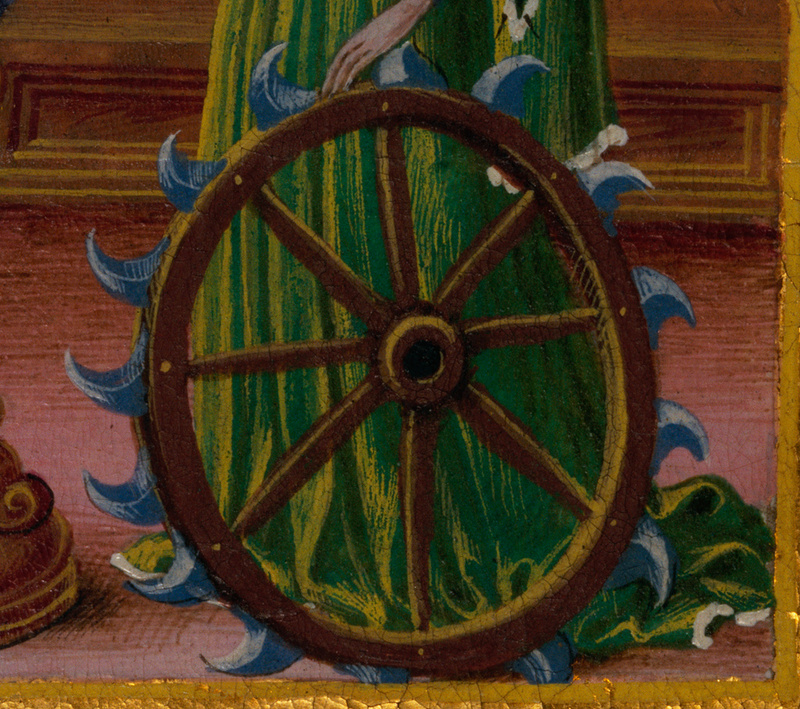 Catherine holds her attribute, the spiked wheel upon which she was tortured. The small statue of the Virgin and Child in a wall niche may refer to a miracle, when a statue of the Christ Child came to life and gave Catherine the present of a ring, an event that came to be known as the Mystical Marriage of Saint Catherine. 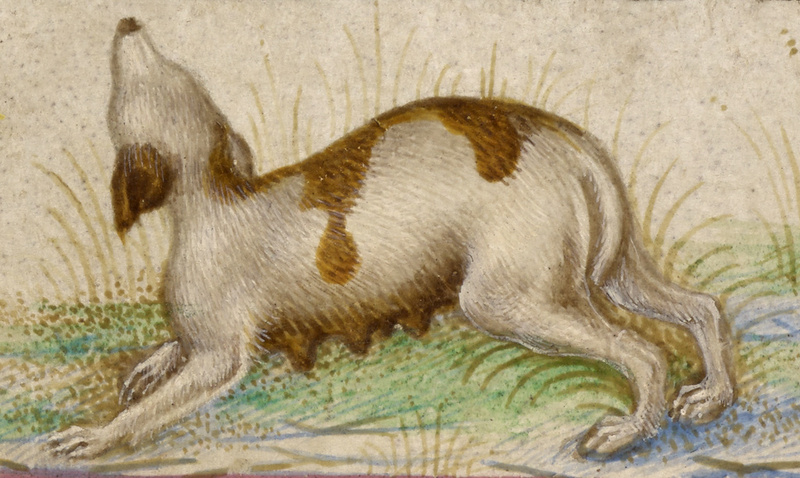 The borders display a range of motifs, including a seahorse and the religious symbols of the pelican and dog.